To kick this project off, we visited the Marvic showroom to observe the experience people have when interacting with the company. We learnt a lot about how their customers find fabrics they need, which heavily informed the site’s structure. 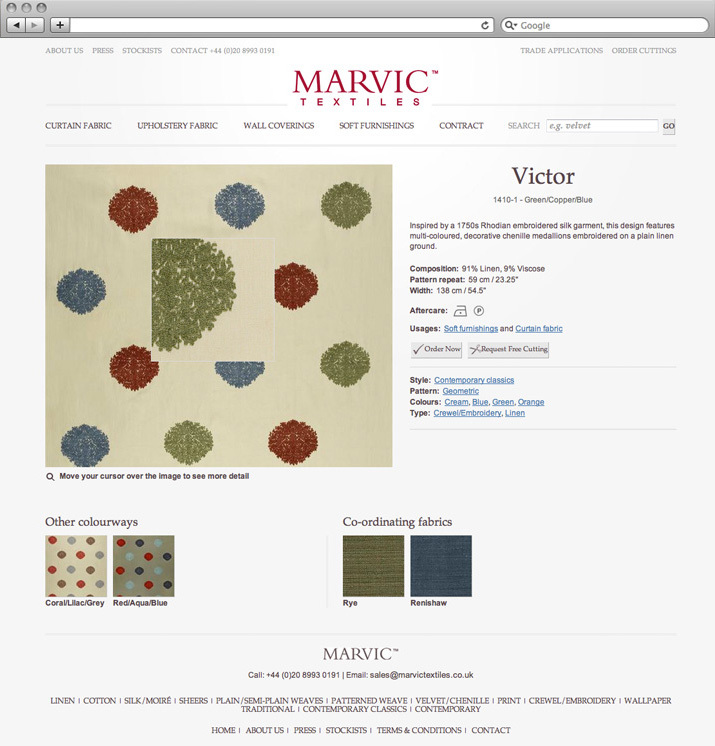 On launch, Marvic were the only company within their competitors to use a navigation structure based around how people want to find their fabric. It was a brave step for a high profile company, and has paid off in lower bounce rates and extremely good conversion rates. I was responsible for the user research, user experience design and visual design.